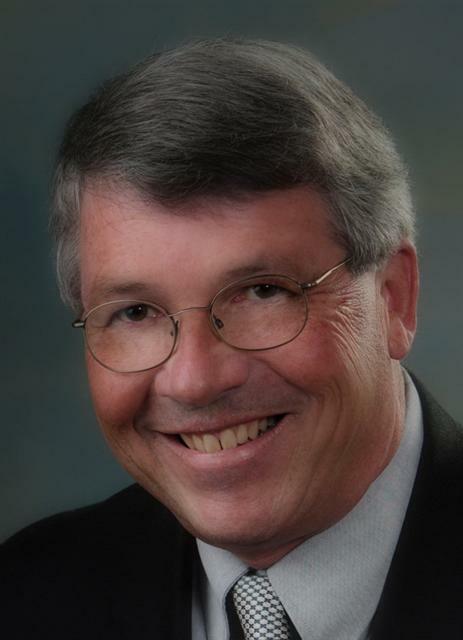 Bob Higgins has operated Higgins and Associates since founding it in 2001. The firm was initially formed to produce commercial web sites for real estate and vacation rental companies. More recently, its scope expanded to take advantage of Bob's years of economic development experience to include helping companies and communities address common problems and opportunities such as workforce development. In 2016 and 2017, Higgins & Associates was a subcontractor to Thompson Engineering to help them develop a new Weeks Bay Watershed Management Plan. Bob's role in this was to get strong stakeholder involvement from the county, 9 municipalities, the business community (developers, farmers, chambers), homeowners, and environmental leaders. This was very successful with building regulation updates, the formation of an ongoing multi-city "Planners/Future Growth" committee, and strong commitment from the stakeholders to support funding for an implementation manager for all of the county's watershed management plans. From 2002 – 2012, Bob was with the Baldwin County Economic Development Alliance, for the last few years as its Senior Vice President. The Alliance represents the 5 chambers, 8 industrial development boards, 14 cities, the county commission, and over 130 businesses in fast growing Baldwin County, Alabama. In this position, he managed the Alliance's existing business and workforce development activities. He also managed the Baldwin County Business Incubator, its revolving loan fund, and its angel capital network. Bob set up and managed a virtual business incubator in tight partnership with the five chambers of commerce in the county. This allowed startup companies to receive many of the services they would receive in a physical incubator while operating out of commercially available spaces. A spin-off from this was a very active angel investor group which now operates across the Gulf Coast. When housing prices became so high in 2006 that companies could not find employees who could afford to live in the area, Bob led a countywide group to address the problem. The initial approach was to highlight the business opportunity to national multi-family housing developers. This resulted in the county being listed by USAToday as one of its "tracking counties" and being featured in other national publications. This in turn resulted in hundreds of more affordable single and multi-family homes being built in the area. A very serious issue facing many employers throughout southwest Alabama – and much of the country – is the lack of qualified job applicants. Bob chaired a group of 40 of the largest employers in our eight county region who agreed to take on this issue. They formed the Southwest Alabama Workforce Development Council to approach this as a supply chain management opportunity: Define "demand" (the number of people with what skills are needed) and align the "supply" chain (schools, colleges, career one-stop centers, and so forth) to meet that need. This employer-led effort has been well received by the education community. It was widely recognized as the best in the state and as one of the best in the country. Over 40% of the economy in Baldwin County comes from 6 million tourists spending about $4 billion on its beaches each year. In 2010, the BP Oil Spill caused many of the summer visitors not to come, creating a huge negative ripple throughout the economy. At the request of the two chambers of commerce in south Baldwin and the cities of Gulf Shores, Orange Beach, and Foley, Bob chaired the Coastal Resiliency Coalition throughout the crisis. The CRC consolidated federal, state, and local business resources in one place and heavily promoted its use to the business community. The CRC also helped coordinate the overall interaction of the business community with BP and federal and state agencies. The CRC team includes the chambers, the mayors of the three cities, tourism officials, state mental health, and the local community college. It's approach has been nationally recognized as a "best practice" that should be replicated by other communities. The CRC continues to meet monthly, now focusing on helping make the business community more resilient to better survive future disasters. Bob came to Baldwin County in 2001 from General Motors' Buick Motor Division. At Buick, he was responsible for developing future vehicles and bringing them to market. At various times, he was responsible for the Regal, LaCrosse, Riviera, Park Avenue, and LeSabre. The quality and profitability of these Buick products are one of the reasons why this brand survived the restructuring of GM. Prior to that, he managed the business and technical relationship between GM and several of its largest suppliers. He earned a BS in Industrial Engineering from Kettering University. He is a graduate of the Auburn University Intensive Economic Development Course, the Center for Creative Leadership, the Crosby Quality College, Battelle Institute, and several others over his career.